What Nationality Is Kimbella From Love & Hip Hop? Love and Hip Hop New York fans often question Kimbella’s nationality. Kimbella Vanderhee is American. The reality star was born on October 13, 1983 in Miami, Florida. Her ethnicity is also debated. Her father is an African American and her mother is Caucasian. 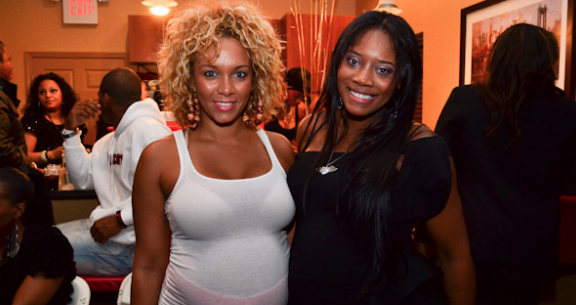 In the last episode of Love and Hip Hop, we see her and Yandy Smith discuss their problems. Yandy manages Kimbella’s husband, Juelz Santana. Kimbella has trust issues so she approaches Yandy regarding Juelz’s whereabouts. Yandy tells Kimbella that she doesn’t feel comfortable sharing information about her client. The two reality stars make up but we’re sure they’ll find something new to disagree about. The images below shows Kimbella Vanderhee before and after plastic surgery. The Love and Hip Hop New York star got her breast inflated and she transferred some fat from her love handles to her back side. Mrs. Juelz Santana didn’t stop there. She also got a tummy tuck and some believe that she got her nose done. In episode 2 of Love and Hip Hop New York‘s seventh season, “Strawberries” we see Kimbella confront Juelz Santana regarding his bad habits. Juelz has cheated on Kimbella in the past and she’s not letting him forget about his mistakes. The tweet below, sums up the couple’s current relationship. Kimbella is beautiful and there’s no doubt that Juelz is attracted to her but he’s simply not ready. Santana is currently focused on his career and Kimbella doesn’t understand that. Ther rapper’s 2003 album, From Me to U was a classic. He also released classic albums with The Diplomats. In 2005, Juelz dropped What the Game’s Been Missing! which was another amazing project. After his second album Juelz disappeared. Roc-A-Fella Records split and the rapper was arrested multiple times. Kimbella must understand that he’s trying to make things right and that takes time. Previous PostPrevious How Has Chance The Rapper Never Sold A Song?